Whether you have a live website, mobile app or just wireframes, an Expert Review can help identify areas that could have improved user experience. 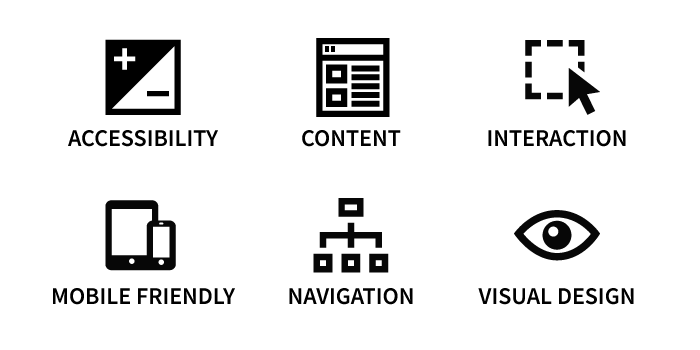 These areas are then evaluated based on the Nielsen Norman Groups usability heuristics– a set of guidelines and principles that cover user experience best practices. Accessibility is not only about a compliance rating. You need to confirm that all user groups can achieve their goals, and that guidance and pathways are not blocked by functionality or design aesthetics. An example of where a website could pass accessibility compliance checks but fail as an accessible solution is images. If we look at the image below we can see that the image contains key steps in a process. However, the image only needs an ALT text value to meet compliance checks. 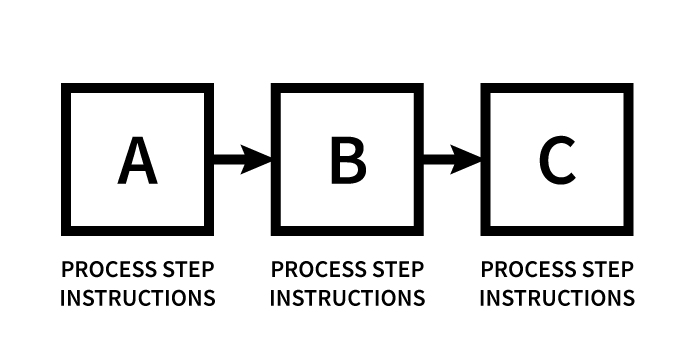 Image to show a mock process for three steps. If the image had the ALT text value of – “Process overview diagram” – then anyone using a screen reader would not be able to see the process steps and would be unable to achieve their goals. The key information of the process is only in the image and is not available for them to digest. Content is about both what the content covers but also how it is presented. The review will look into the information hierarchy and whether related content is complementary to each other. We check content is clear, concise and utilises plain English. This ensures that users are engaged with the content and can use the content to achieve their goals. Due to the popularity of smartphones and tablets adopting a mobile first strategy is important. In the expert review we don’t only look at whether the solution displays properly on the device. We also look at whether the functionality is intuitive to use with a finger or stylus. Sadly some people think that visual design is all about making it look “pretty”, this could not be further from the truth. Visual design acts as a way to enhance interactions and helps to guide users through the solution. To enhance the expert reviews we also underpin the review by looking into any Google Analytics that are available for the solution. We look into demographic information, user behaviour and technology insights. We also use the analytical data as the basis of investigations into how the visual area of content is being utilised, in comparison to the most common browser sizes. If you are interested in an Expert Review then don’t hesitate to get in contact.